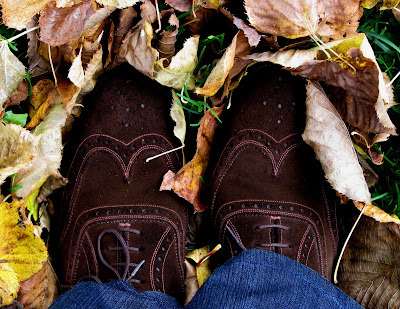 Crunchy, colourful leaves underfoot, and being able to wear the chocolate brown suede brogues I found at The Sentimentalist! Fabulous shoes amidst leaves. Love the color combo!